This cow is a classic! 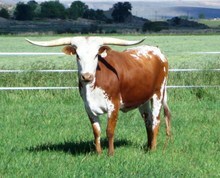 She is everything a Longhorn cow should be. 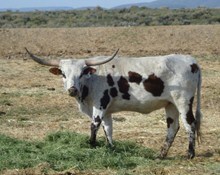 Beautiful horns, speckled coat, great mother, smart and gentle. Just keeps making great heifers!